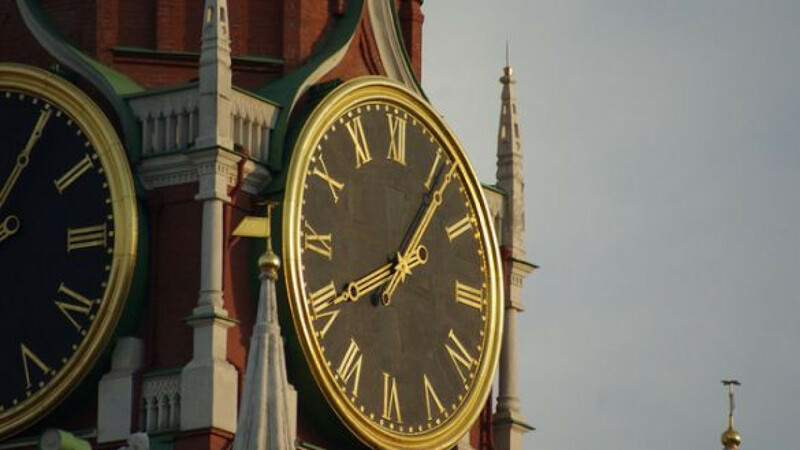 Prime Minister Dmitry Medvedev's eternal summer might be coming to an end, as the State Duma could reverse his 2011 decision to keep Russia permanently on summer time rather than follow international precedent and change the clocks twice a year. "The bill hasn't yet been introduced [to the State Duma], because we are conducting negotiations now, but it is already prepared. The decision to introduce it should be made within a week — by October 1," Sergei Kalashnikov, head of the Duma's Public Health Committee, told RIA Novosti. Kalashnikov has advocated a return to yearly time changes since 2012 when he wrote an open letter to Medvedev describing a flood of complaints from citizens entreating the government "to cease condemning the majority of the country's population to stress, worsening health, a heightened rate of injuries and economic penalties," caused by living in a rhythm other than "natural astronomical time." The senior deputy submitted a bill in the summer of 2012 that garnered initial showings of support but was ultimately withdrawn. Unlike the previous bill, the current proposal would specify a date for the transition to daylight savings time, though the date has not been made known. In April, President Vladimir Putin said the decision to reinstate winter time is "in the purview of the government, and the government must make the decision," Interfax reported. Support for Medvedev's constant summer has fallen substantially among the general populace. While 73 percent of respondents favored Medvedev's decision in 2011, by 2013 only 34 percent supported it, a poll from the public opinion organization VTsIOM reported. The number who felt negatively about the system rose from 6 percent to 32 percent during the same time period.